Ambassador Brownback discussed genocides and violence around the world due to religious prosecution. He also discussed that America should take a “whole of government approach” to pursuing religious freedom by seeking partnerships with the defense, security, and foreign aid community. 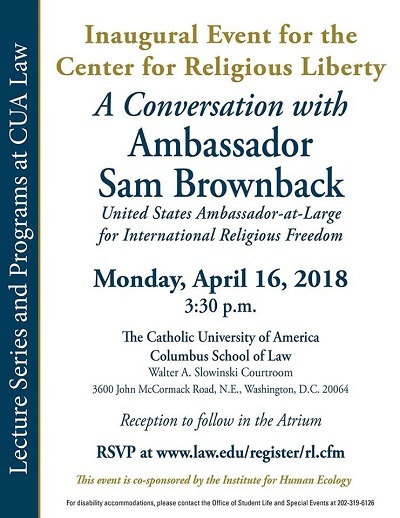 Brownback, Sam, "A Conversation with Ambassador Sam Brownback" (2018). Other Lectures & Events. 14.